This synergistic blend is a combination of the Essential Oils of Black Pepper, Cypress, Eucalyptus, Geranium, Lemon, Sweet Marjoram, Myrrh, Peppermint, Ravensara, Rosemary, Tea Tree and White Thyme. This aromatherapy blend is designed to help give your immune system a boost when you're feeling run-down. 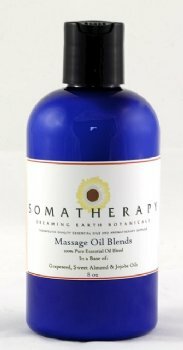 Diluted in our massage base and ready-to-use in a gentle massage or in a warm bath (add a cap full to bath water). Also available undiluted here.